O.B.A.G.I. CLENZIderm M.D. 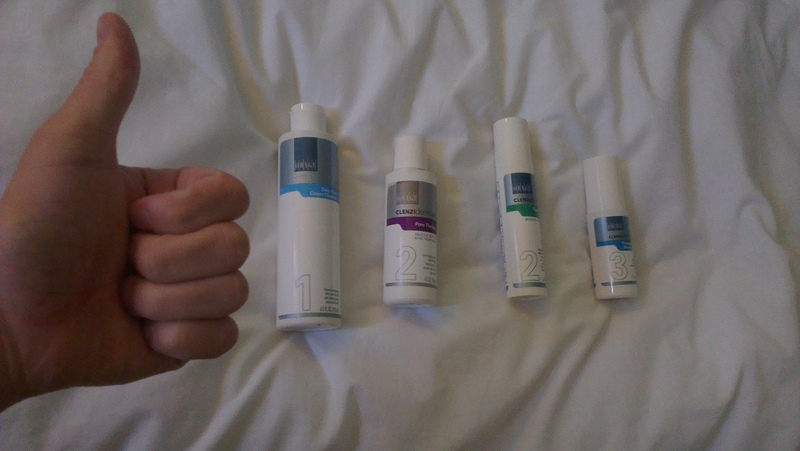 Review – What It Did To My Skin! OBAGI CLENZIderm M.D. has been around for many years and is often a solution that dermatologist prescribe to acne sufferers who have the common skin condition called acne (acne vulgaris), hormonal acne and mild to severe acne due to the way this system penetrates oily and dry skin. This Therapeutic Acne system is aimed at sensitive and oily skin types which generally is teenage acne to early adult acne (up to the age of 27). You will see my results from using Normal to Oily on my oily acne prone skin and whether I would use this acne treatment again below. OBAGI’s Acne Therapeutic System has 3 treatments for treating mild-severe acne. Daily care cream cleanser is the first in the order and is just for cleansing you skin morning and night. The difference compared to Normal to Oily Daily foaming cleanser is this one makes skin feel less oily, smooth and softly cleansed. (My skin felt surprisingly calm, fresh and I was shocked how smooth it became). Second is the Therapeutic lotion which as you can see is also part of the OBAGI CLENZIderm Normal to Oily set for acne. This is because the Therapeutic Lotion is extremely useful against acne and uses Benzoyl Peroxide crystals for pores. Therapeutic lotion number 2 is one of the most effective acne treatments that I have ever used. Therapeutic moisturizer is a moisturizer that is used to prevent skin drying out but without causing acne breakouts. This moisturizer lasts a long time; I still have 1 still unopened. Treats acne fast within a couple of days, skin feel soft and clean after use and Therapeutic lotion works fast. Moisturizer really helps and much better to use than other oily moisturisers that can cause acne breakouts. Very easy to read instructions, easy to use and comes with cotton pads. Benzoyl Peroxide used in this Therapeutic Lotion is 5% which is not to powerful but not mild. A quote from my dermatologist about this system was “The Benzoyl Peroxide is broken down into tiny crystals, so it can penetrate deep into pores and into the root of acne.”. It is not like any other. Cons: Mild tightning of skin in acne areas in the first days or if applied to much, skin adapts within a week. Also the price of OBAGI directly ranges from $130-140 RPG which is fairly expensive acne treatment that dermatologists recommend. Here is where I purchased mine on Amazon! How OBAGI CLENZIderm Helped My Oily Skin? If you’re like me, a real person who has had enough of Pimples, blackheads, painful spots and scars, then you’re reading the right Review. My skin is everything to me as it is the first part of my body people see and get to know so having acne was a real annoyance, especially in my teenage years. Unfortunately, acne is looked at being dirty and unhygienic which is completely the opposite. My face was probably cleaner than the people who judged me! 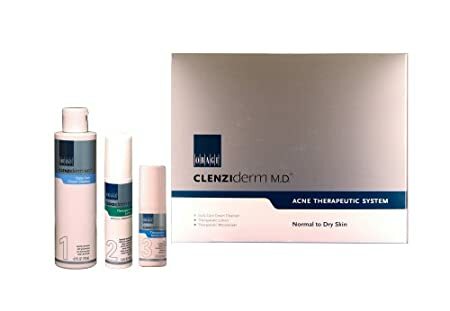 CLENZIderm MD Normal/Oily personally is my favourite acne treatment I have ever used. This is because I gained results within the first couple of days of usage on my incredible oily skin. I noticed that inflammation, pimple redness and blackheads were the first to go. My skin felt calm, smooth and my friends/parents noticed. I was so happy with the results. More reviews on Amazon here. By adding the Pore Therapy into Normal/Oily you can help heal skin whilst removing blackheads. Pore Therapy from the CLENZIderm M.D. Normal To Oily set contains 2% salicylic acid which is works fast with 1, 2 and 3 and what Normal to Dry needs. Salyclic acid like Benzoyl Peroxide, is a well known acne treatment because it removes dead skin cells, unblocks pores and breaks down acne breakouts from the root. Combining these two together and using properly in this system, completely reduced and removed my acne fast, no matter how bad or severe. I am a HAPPY customer and it would make me happier to make someone change their life too. Only apply moisturizer if skin is dry and skin is visibly flaking. (I prefer to not use the moisturizer when I can because when used regularly I found that it was giving me small breakouts. Only use when needed on dry skin, that what it’s for. A dime sized blob or two on fingertips from Daily Cream Cleanser to acne prone skin. Massaging skin gently till applied evenly and absorbed. First using warm water wet face then rinse off with cold water. 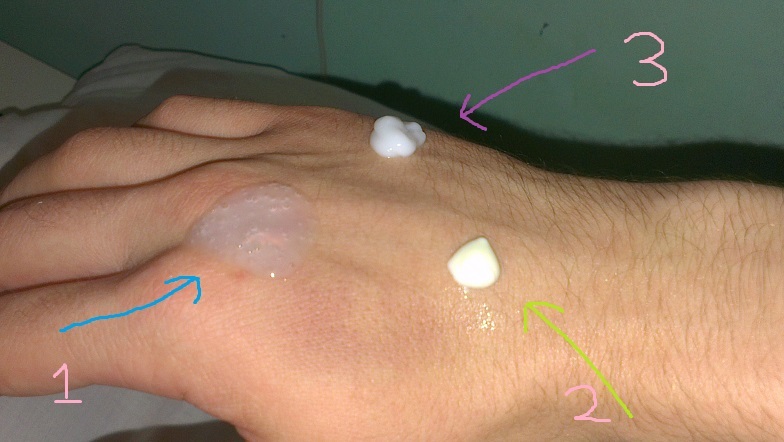 Then grab your Therapeutic Lotion (number 2) and apply to acne area until absorbed into skin. (Like before) For best results keeping rubbing in to skin gently with one finger. Don’t use moisturizer unless excessive dry skin occurs. So that is it, if you’re looking for an acne treatment system that really works well then I recommend you try OBAGI’s acne system called Normal to Dry and add the Pore Therapy to use as recommended above. I got mine from Amazon.com, they supply all over the world. This treatment is recommended by dermatologists. Save your money on consultations, travel and time and see what others are saying- The reviews are 5+. How long till you say results using normal to dry? Roughly about a week. Was really quick and effective ! Hi mate, I just wanted to leave a comment to say thanks for recommending this acne system. I chose the normal to dry with the added number 2 salicylic acid. Ive been using it like you said for roughly a month and a half now and my skin has changed so much man. Its so amazing and my confidence has gone through the roof. My life is so much better now I can’t people like you enough! I can’t believe you’re not playing with! Really worked so helpful. I love your accent in the video and just would like to say thanks for this article, I recently ordered my clenziderm normal to oily with the pore thereapy and have been using it for a week and a half now. My severe acne is really showing results and I actually cant believe it. If it wasn’t for you!! Glad you know were to get it cheaper too lol so expensive directly. I added you on google + so hopefully we can chat sometime. Great that’s awesome we will definitely chat soon. and women really happy. Also, thanks for allowing for me to comment! Ive ordered my Normal To Dry Kit with the discount link provided.. THANKS! Obagi is amazing and everyone should try this! Although it isn’t brilliant for severe acne it works like a miracle for mild and medium acne! also glad you are promoting to your fans with a discount! that’s what makes this site good because we can save money and clear our skin! I have OBAGI normal to oily! I recommend normal to dry for adult acne, it is sooo much better!